JooTube.TV: How French Jews for Macron undermine own future; Will American Democrats duplicate? How French Jews for Macron undermine own future; Will American Democrats duplicate? As of 2016, France's 460,000 Jewish population is the largest in Europe. As a result of this Sunday's projected presidential election of Emmanuel Macron, that population will shrink, according to gentile French analyst, Dr. Guy Milliere. In "French Elections: Emmanuel Macron, a Disaster" published by Gatestone Institute, socio-political analyst, Dr. 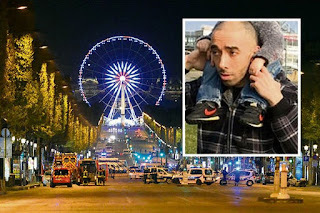 Guy Milliere, argues that the example of the shooting of 2 policemen on the Champs Elysées April 20th, in which Muslim Frenchman, Karim Cheurfi, murdered Xavier Jugele, 37, "summarizes everything that is broken in terms of security in France today." Mohamed Lahouaiej Bouhlel, who drove a truck into the crowd in Nice in July 2016, killed 86 people and wounded many others, and, among others, those who beheaded a priest in Normandy a few weeks after the attack in Nice. The successive French governments under the presidency of François Hollande showed themselves to be appallingly weak and impotent. A climate of fear has overtaken the country. Attendance at theaters has declined. 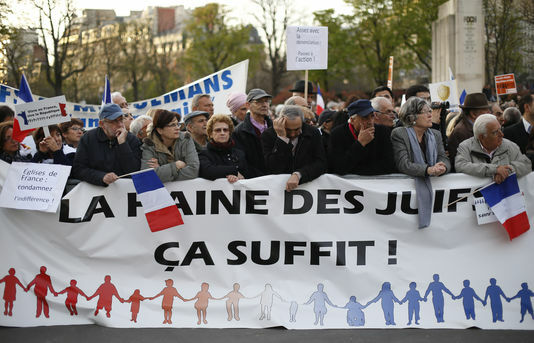 The particularly targeted Jewish community -- two-thirds of the attacks in France in the last five years targeted Jews -- feels abandoned. When a Jewish cemetery was vandalized on March 30 in Waldwisse, eastern France, neither the media nor the political leaders reacted. A week later, in Paris, a Jewish woman, Sarah Halimi, was tortured and then thrown out of a window by a non-radicalized Muslim, simply because she was Jewish: the French media and political leaders, with the exception of the courageous MP Meyer Habib, also did not react. A silent gathering below the window was organized by some leaders of the Jewish community. Only Jews came; they were greeted by anti-Semitic insults by Arab Muslims in the neighborhood. The implantation of radical Islam in the country is intensifying. The annual meeting of "Muslims of France" (the new name of the French branch of the Muslim Brotherhood), took place on April 14-17 in Le Bourget, ten miles north of Paris. Anti-West, anti-Israeli and anti-Jewish diatribes were delivered to enthusiastic crowds of bearded men and veiled women. 150,000 people attended. Emmanuel Macron's campaign effectiveness is also due to the fact that in France, virtually no media is likely to contradict what is said in the mainstream media: the French economy is a very state-based economy in which creating and sustaining media independence from the government and from government subsidies is almost impossible. The second round of the French presidential election will take place on Sunday, May 7th. Emmanuel Macron will face the only remaining candidate, populist Marine Le Pen. During the entire campaign, she was almost the only one to speak clearly about the Islamic terrorist threat (François Fillon did, too, but more discreetly) and to offer credible solutions to fight it. She was the only one to speak of the rise of radical Islam in France and to denounce the Muslim Brotherhood gathering at Le Bourget. She was the only one to stress the increasing perils resulting from uncontrolled immigration, and the risk of French culture disappearing. She was also the only one to mention the demographic change that occurs in France and in Europe because of the new migrants. She was the only one to denounce the Islamic anti-Semitism that relentlessly kills Jews in France. Unfortunately, she has a nearly Marxist economic program, close to that of Jean Luc Melenchon. She is the leader of the National Front, a party founded by her father, an anti-Semite, Jean-Marie Le Pen; although she has excluded her father and virtually all her father's anti-Semitic friends from the National Front, she is nonetheless the party leader and is regarded as her father's daughter. Marine Le Pen and the National Front will be used as scarecrows to urge voters to rally massively behind Macron, in the name of a "Republican front" against "fascism." The strategy was developed thirty years ago by the French left, under President Francois Mitterrand. It has always worked, and in a few days, it will work again. Macron now has the support of the entire Socialist party, and the support of virtually all other politicians. He also has the support of all French Muslim organizations. The rector of the Great Mosque of Paris said that Muslims must "massively vote" for him. The Jewish community leaders also rallied on behalf of Macron. On May 7, he will likely get more than 60% of the Jewish vote. Most will not be based on the support for a project; the risk is high that Macron will disappoint the French even faster than Hollande did. The French may quickly discover that he is just a man chosen by the French left to preserve an unsustainable status quo a little longer, and a member of the self-appointed élites who do not care about ordinary people's problems, who consider that terrorist acts are "imponderable events", and who believe that national identities can melt in a no-border globalized world. 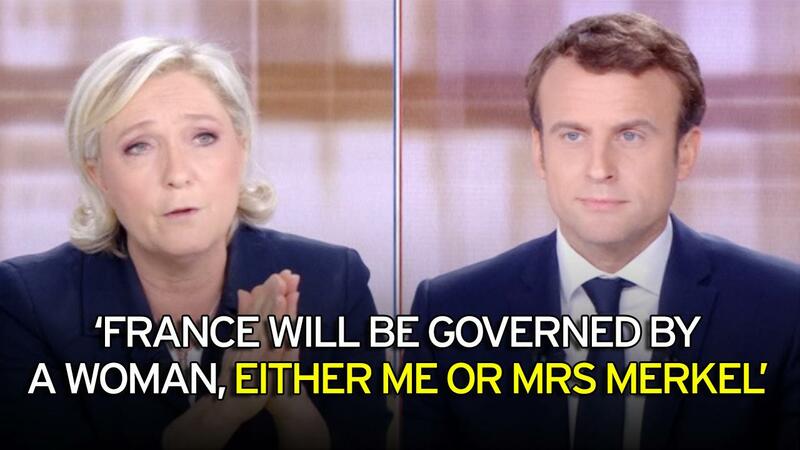 When the French discover who Macron is, there will be nothing they can do to change what they voted in. The risk to France in the next five years will probably be painful for the French. According to the Police, more than 12,000 radicalized Muslims live in the country and most of them are not under surveillance. The Police do not have the means to do more than they currently are doing, and Macron does not seem to care. The justice system is in the hands of judges who appear lenient to terrorists, and Macron seems to accept it. The flow of migrants will not stop, and Macron apparently does not intend to do anything about that. More and more, Muslims segregate themselves from French society in expanding Islamist mini-states." Dr. Milliere predicts that under Macron, France's Jews will face the same choice as he - bigotry from Muslim and Leftists will move them to give up their lives in France. Better to emigrate now than to hastily flee, Milliere quotes from a friend. "Nothing Macron proposes can reverse the decline of the French economy and French society. Terror attacks will undoubtedly occur. Jews and others will undoubtedly be killed. Riots and discontent will undoubtedly take place.
. . . In the next election, in 2022, Catholic France may well see a Muslim candidate run -- and win." Read the full article. 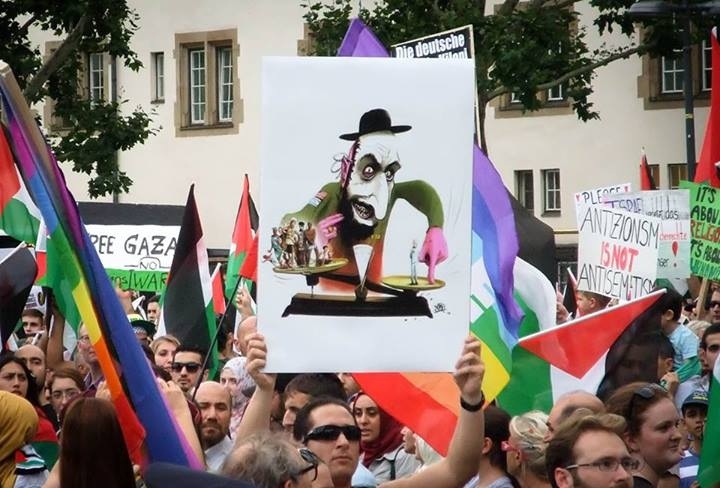 On Holocaust Memorial Day (April 24th), Dr. Milliere addressed how the Islamo-Fascist Axis (under the ideal of "diversity") ascends to power by promoting pro-Palestinian/anti-Zionist Muslims to intimidate the pacifistic, secular West. He claims that socialists today apply Nazi strategy to garner power: vilify Zionists, promote totalitarian Islam to the Left.